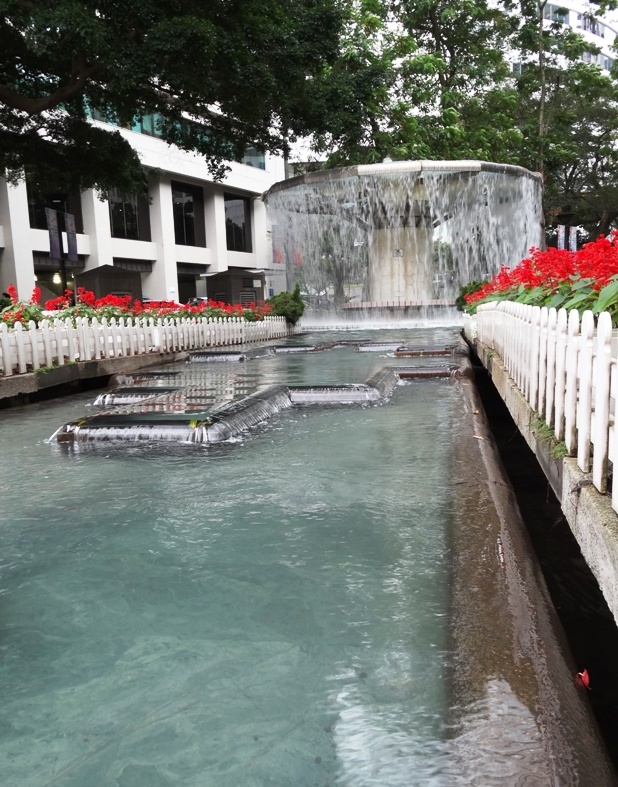 My previous blog introduced Nan Lian Garden as a must-see Hong Kong garden for those wanting ‘green therapy’ for ‘retail therapy’. 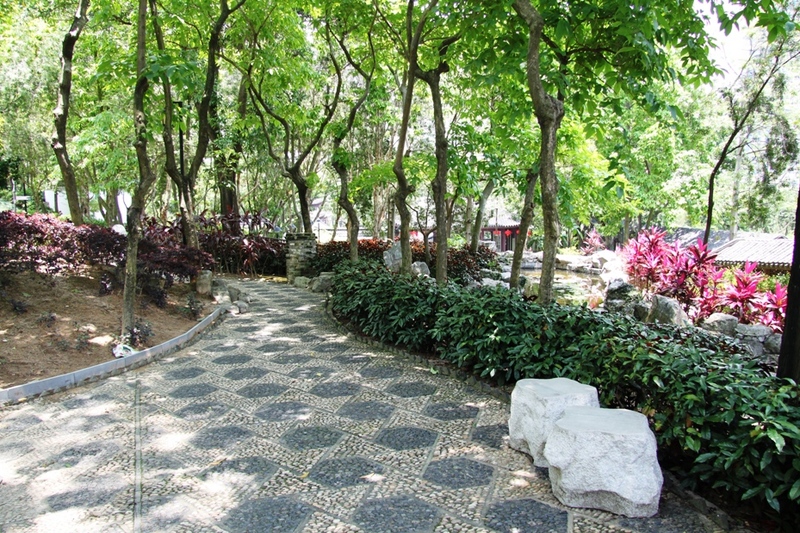 Kowloon Walled City Park is another option and a different experience altogether. Kowloon Walled City Park is marginally smaller than Nan Lian – 31,000sqm compared to 35,000sqm – but it seems much larger. The park is devoted mostly to planted beds, grassed areas and open spaces where visitors can roam and be ‘in’, rather than large central ponds to be viewed but not accessed. The site layout is comprised of distinctive landscape features linked by tree lined paved areas, with only three ponds, two of them quite small. This gives it spaciousness and perhaps goes some way to defining what a park is, as opposed to a garden. The site was originally Kowloon Walled City. The original fortress walls, completed in 1847, were torn down during WWII but have been reinstated on their unearthed foundations along with other found relics. After the war, unauthorised high-rise tenements were built and the Walled City became a notorious den of iniquity. In 1987 authorities decided to clear the area and build a park on the site. There is a remarkable scale model of the City buildings prior to demolition and an absorbing cross-section of the buildings and their inhabitants going through all their daily rituals. 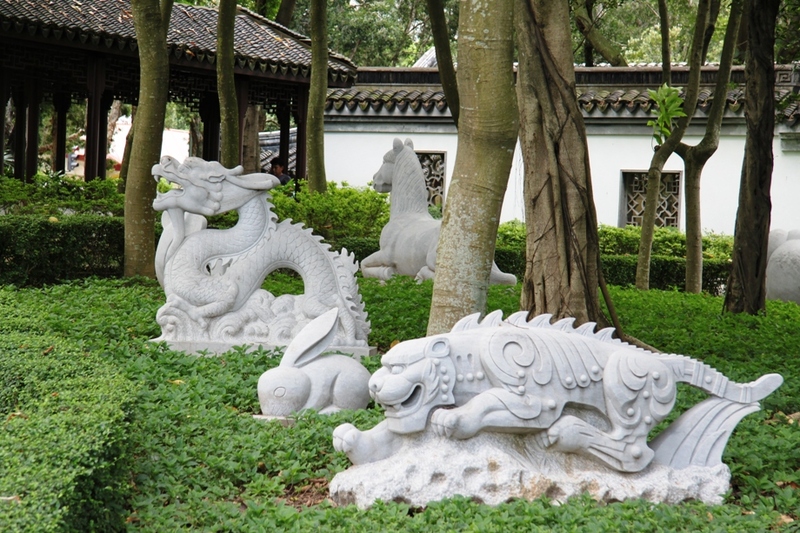 The park is designed in the Jiangnan garden style of the early Qing Dynasty (1644-1912), in historic terms a recent era preceded by the Ming Dynasty and succeeded by the Republic of China. 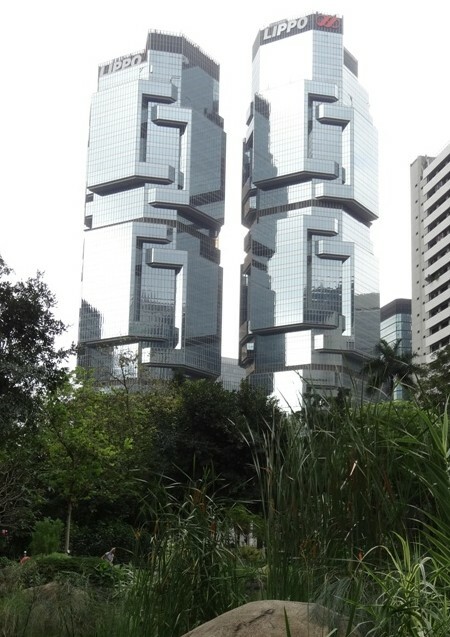 This may be why it seems more modern than the much older style of the Nan Lian Garden. While the park is composed of eight landscape features of some traditional merit, the flowing links between them feel natural and seamless to my western sensibilities. Manipulation and precision aren’t noticeable, there is a sense of freedom. Which is why the layout is so clever – the paths lead their ‘captives’ on a journey, gently curving and turning to their destination but ending up in a different place entirely than expected. It really is a case of being unknowingly lead up the garden path. It happened too often to be a coincidence, it is all in the design intricacies of directional and level changes. The day I visited was hot and humid, so I gravitated towards the shaded areas for their coolness. This biased me towards them over the open sunny areas that were too hot to spend much time in. A grove of densely planted tall trees including Paperbarks near the Red Leaf Path and the Chinese Zodiac Garden were two of the areas I liked best for their cooling qualities. Colour and birdlife enliven the park. Foliage colour in the Red Leaf Path area is a highlight, with claret and gold leaf plants used as accents in other areas. Flowers also feature with the Bauhinia, Magnolia, Crepe Myrtle and Pomegranate Walks. 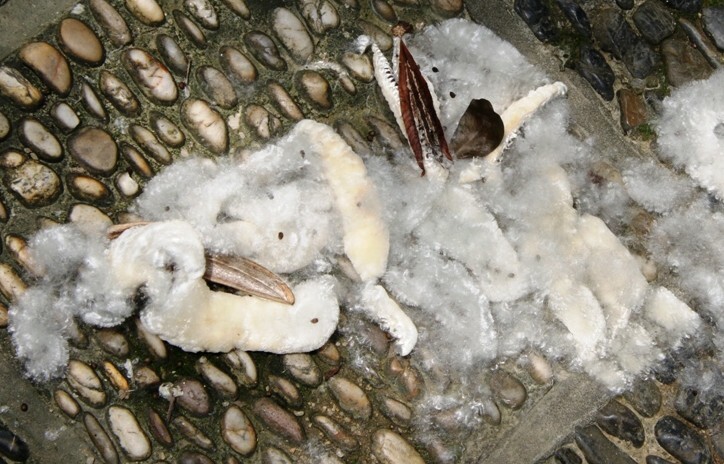 Delonix regia and Elaeocarpus hainanensis were in flower and a joy at the end of May, the Bombax malabarium pods bursting open spilling their ‘cotton’. The birds were busy high in the trees amongst the canopy and lower down on the trunks, and in the shrubs and on the ground as well. Most of the park was alive with their activity insect hunting and nectar feeding on the diverse range of plant species. Their songs and calls were really enjoyable and enriched the visit. The maintenance of the park is slightly lacking which does detract from the experience – dirty ponds, weedy gardens, unintentional bare patches. Despite this unkempt feel there is still plenty to like and many remarkable features. 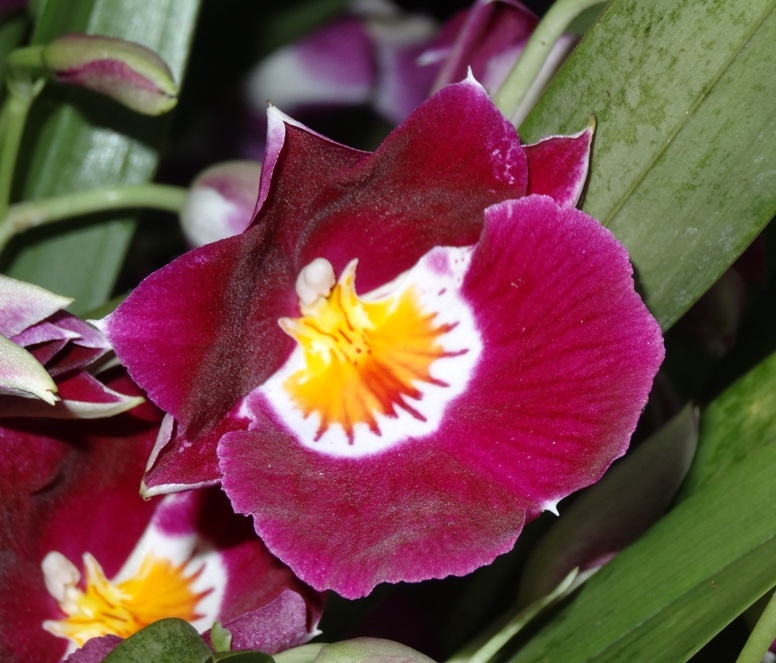 The good design is itself fascinating, and plant lovers won’t be disappointed with the assorted offerings on display. Click here for the GardenDrum Gallery of Kowloon Walled City Park with more photographed highlights. 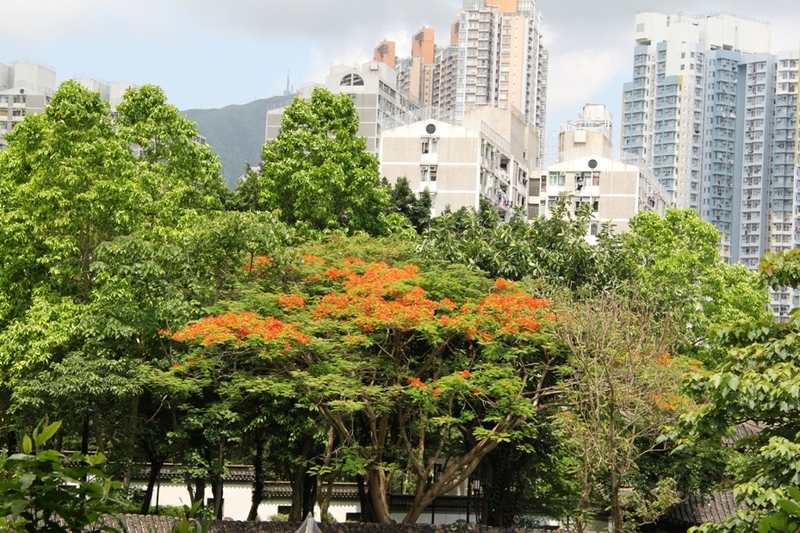 In the Central district of Hong Kong lies Hong Kong Park. Before visiting the park, the charming and knowledgeable Sylvia Midgett of the Hong Kong Gardening Society, walked us around some cultural highlights of nearby Wan Chai. Hong Kong is Sylvia’s birthplace and home, she’s seen the impact of the unfolding and continued development of reclaimed land along the Victoria Harbour shoreline. In the market-stall lined streets and back alleys the standout botanical interest is the feat of the banyan trees – they grow anywhere! We saw several growing out of rock walls, their root systems self-contained artwork creations. By the busy main street is a wonderful very large old mango tree on the site of the old Post Office. Arriving at Hong Kong Park is sudden. Located in the midst of high-rise office blocks in the business district it’s hidden almost until you are in it. Covering 8 hectares, it is on the site of the British Army’s former Victoria Barracks. Some preserved garrison buildings remain, showing architectural contrast against the skyscraper backdrop. This park is no shrinking violet. 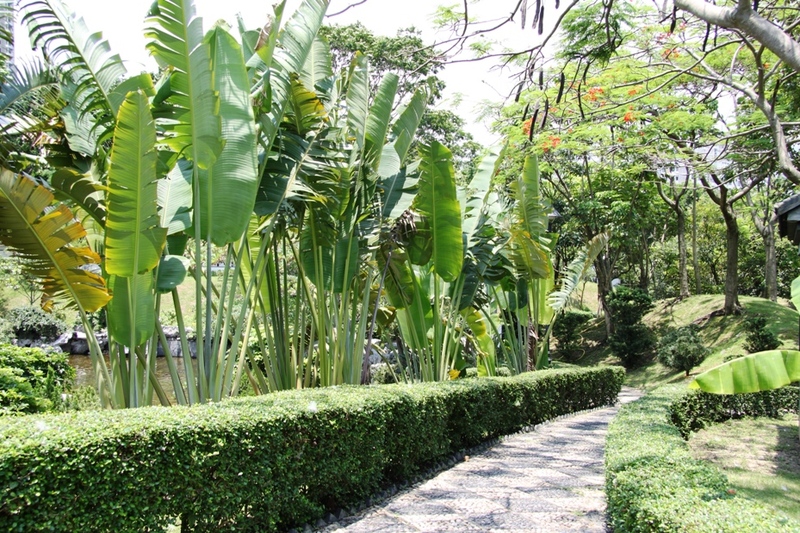 It offers a lot of facilities including large walk-through aviary, viewing tower, tai chi garden, “Olympic Square” amphitheatre, children’s playground, and a conservatory. 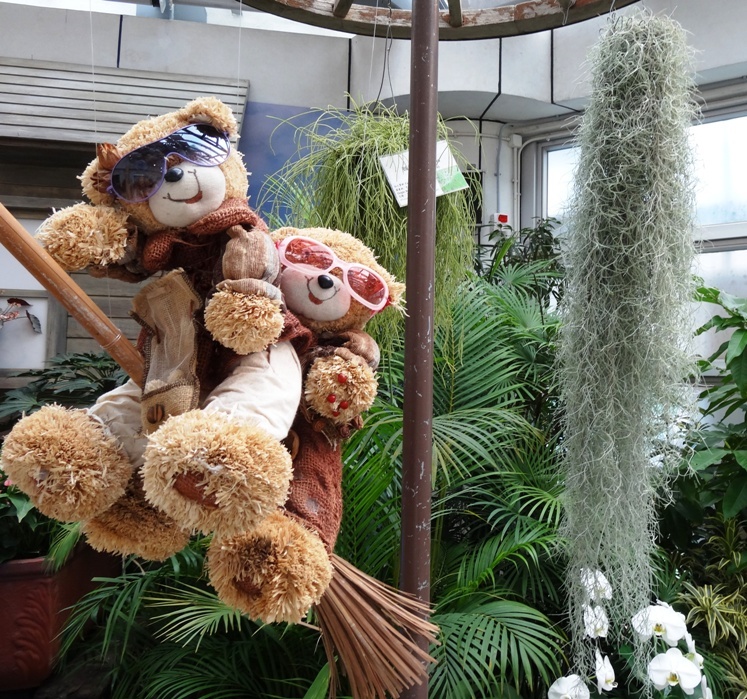 At the time of my visit it housed an orchid display, mostly splendid but dubious in parts – I couldn’t make the link between a wondrous phalaenopsis and flying stuffed cuddly bears….. but it did make me smile! The flowing water through the park is a feature. 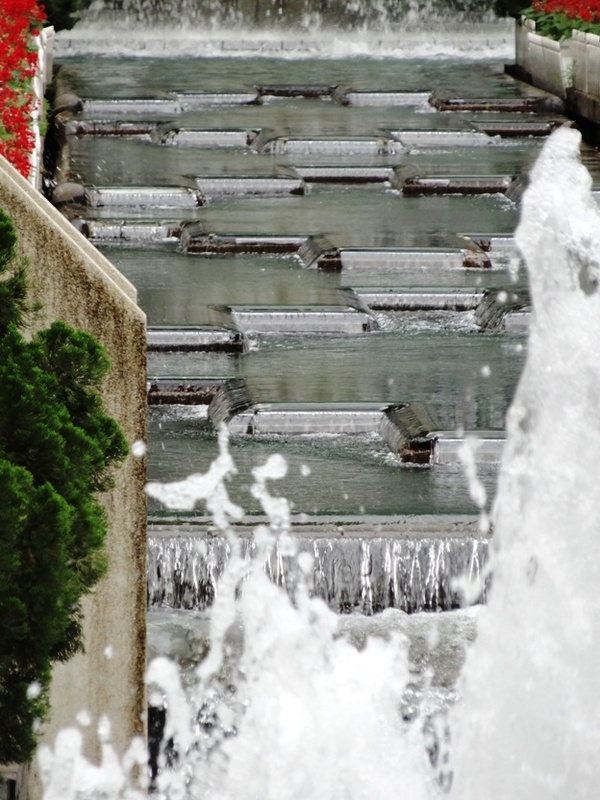 There is an an artificial lake and waterfall, fountains and water features. 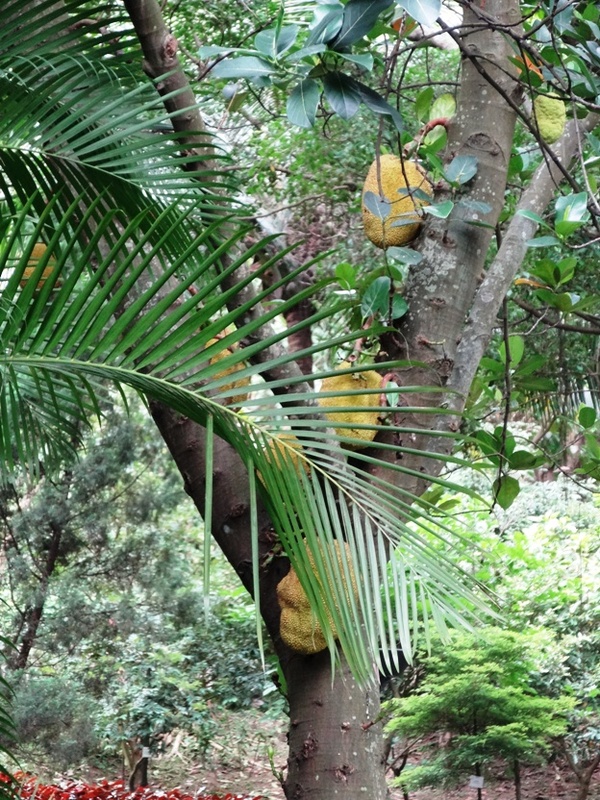 It is part park, part botanic garden with educational facilities and excellent plant labelling, particularly the trees. There are water gardens, flower beds, shrubs, and grassed areas all combining to create a visual feast. This is a well-used park and it is bustling with visitors – it is a ‘doing’ park. Despite this it maintains an air of tranquillity on the doorstep of high-rise development, and is large enough with sufficient options to find an area to suit your purpose. If in Hong Kong in need of a break away from shopping, there are excellent green areas with botanical interest. 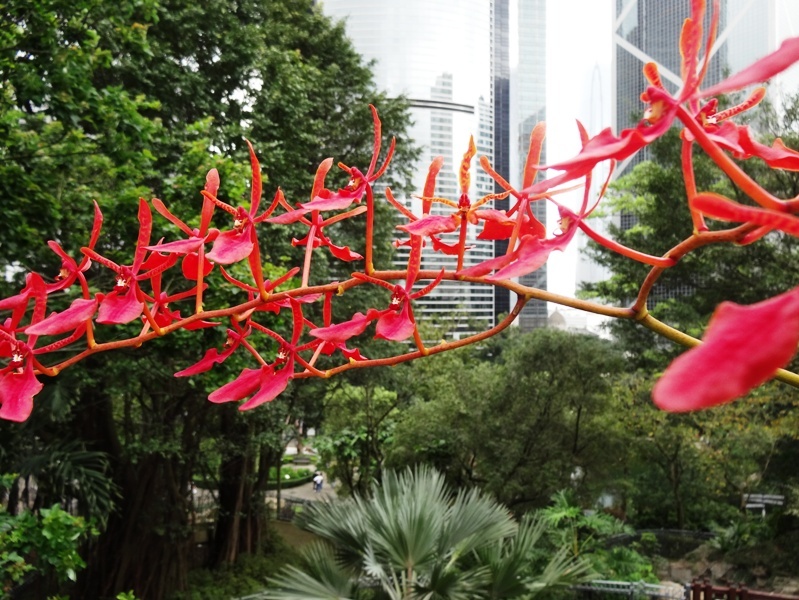 There are plenty more parks and gardens to visit than I’ve mentioned, on the island and mainland – Zoological and Botanical Gardens, Victoria Park, Kowloon Park to name just a few – and if you travel outside the city districts the options continue. Thank you Sylvia for your precious time, knowledge and generosity. The most expensive tree in the world?